The "Big Easy" has come to Chicago with the help of some "Mardi Gras Magic," as jazz, Cajun cuisine and colorful costumes transported guests at the Standard Club to New Orleans. 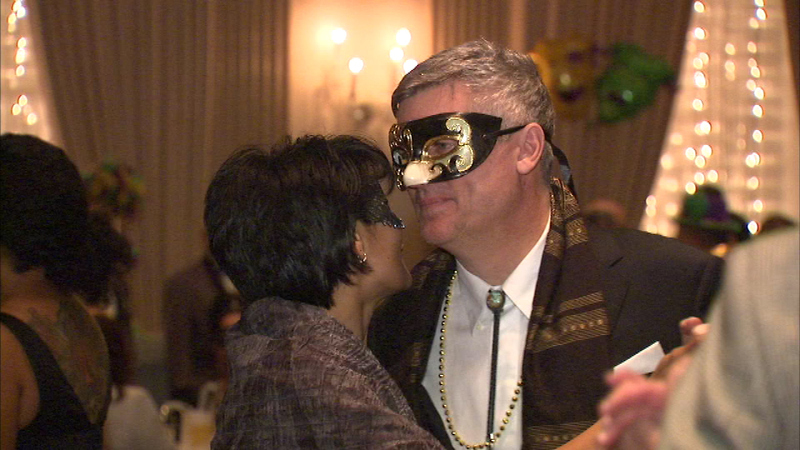 CHICAGO (WLS) -- The "Big Easy" has come to Chicago with the help of some "Mardi Gras Magic," as jazz, Cajun cuisine and colorful costumes transported guests at the Standard Club to New Orleans. Mardi Gras Magic is a fundraiser benefiting "Literature for All of Us." The organization serves young people through book group discussions and poetry writing. ABC7 Eyewitness News anchor Terrell Brown emceed Saturday night's event.